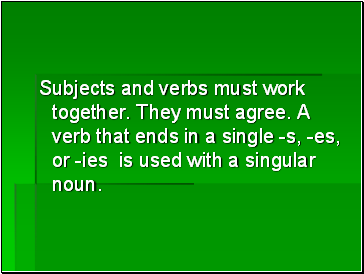 Subjects and verbs must work together. 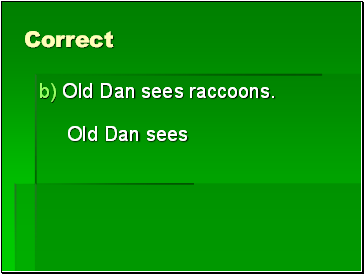 They must agree. 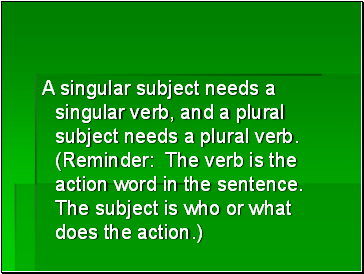 A verb that ends in a single -s, -es, or -ies is used with a singular noun. 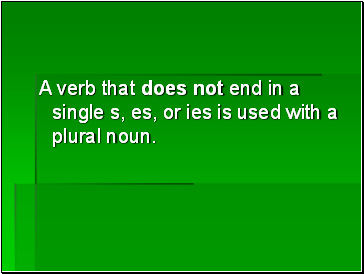 A verb that does not end in a single s, es, or ies is used with a plural noun. 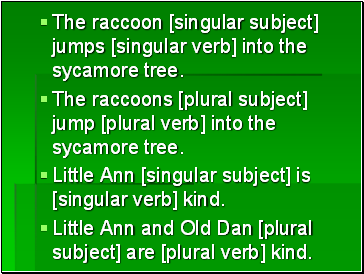 The raccoon [singular subject] jumps [singular verb] into the sycamore tree. 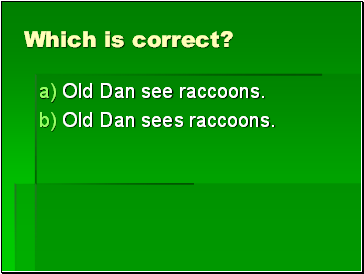 The raccoons [plural subject] jump [plural verb] into the sycamore tree. 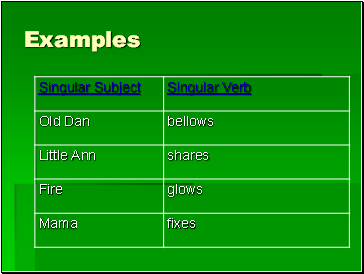 Little Ann [singular subject] is [singular verb] kind. 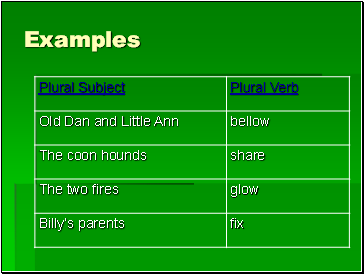 Little Ann and Old Dan [plural subject] are [plural verb] kind. 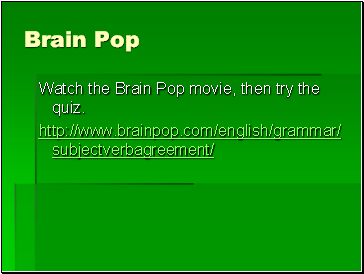 Watch the Brain Pop movie, then try the quiz. No big deal? Usually not. 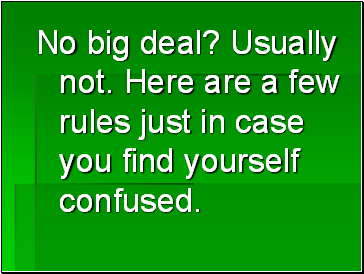 Here are a few rules just in case you find yourself confused. 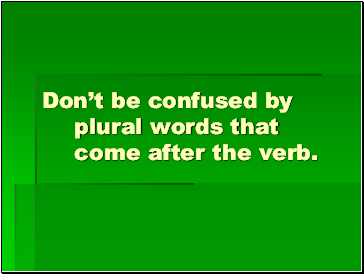 Don’t be confused by plural words that come after the verb. 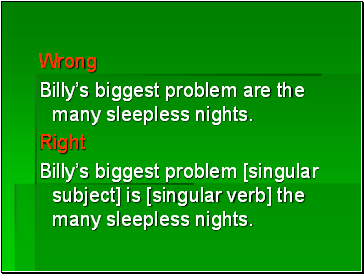 Billy’s biggest problem are the many sleepless nights. 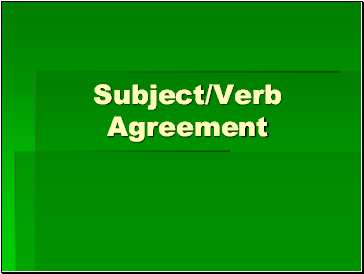 Billy’s biggest problem [singular subject] is [singular verb] the many sleepless nights. 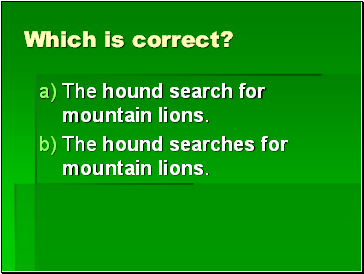 The hound search for mountain lions. 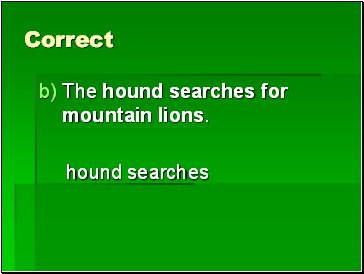 The hound searches for mountain lions.